"I believe starting a new company is like a puzzle; to be successful you need the right pieces and to fit them together properly. I enjoy helping entrepreneurs put the puzzle together." Flip joined InterWest in 1982. With a background in engineering, he has invested in multiple areas of information technology, including semiconductors, computing and networking equipment, and infrastructure and applications software. Flip was a board member of Xilinx (XLNX), a publicly-held company, from 1984 to 2016 and chairman from 2009 through 2015. He is currently a board member of Microfabrica. Flip also serves on the advisory board of Storm Ventures II and is a past president of the Western Association of Venture Capitalists. 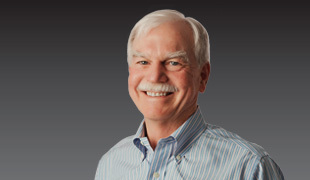 From 1973 to 1980, Flip worked in engineering management at IBM, where he managed both chip design and systems integration for several IBM office automation products. Flip earned his M.B.A. from Harvard University and received his M.S. and B.S. in electrical engineering from Stanford University. He has one international and two U.S. patents. Working with the entrepreneurial CEO is my favorite part of venture capital. A CEO can often feel isolated; I try to be someone who will take the time, listen, exchange ideas, and occasionally coax people through difficult decisions. It is difficult for a board member to contribute at the detailed operational level - management should manage the company. However, over the years, working with many companies, we can make management aware of the patterns they may not see; our experience with similar situations combined with management's experience with the specifics makes for a better decision.